Cara Delevingne and Naomi Campbell reportedly got into a physical altercation over the weekend. The two models were said to be partying at an A-list soiree for Dasha Zhukova’s Garage Magazine at Paris nightclub Castel on Sunday night when the ruckus ensued. According to Page Six, the women got into a heated argument after Naomi, 44, accused the 22-year-old of “disrespecting” singer Rihanna. While all three women have been spotted together during Paris Fashion Week, the scuffle was alleged to have kicked off after Naomi became angered when she reportedly heard Cara say “something negative” about Rihanna, 27, a witness reports. Confronting Cara, things soon turned ugly. “It was a noisy and packed party. Naomi was saying all these nonsensical things, she was ranting. There was a messy pushing match. Cara didn’t understand because there’s no problem between her and Rihanna. Cara didn’t want to be involved and was telling Naomi, ‘Get away from me!’” another source divulged of the unexpected outburst. A source close to Naomi has insisted there was no such altercation. The insider revealed the club was so small any such physicality was surely an accident and the supermodel was merely sitting at a table chatting with actress Dakota Fanning, who was seated with models Cara and Lily Donaldson. “Naomi didn’t do anything wrong. We are talking about a very tiny club in Paris with a very busy table – if someone pushes someone, it’s because there is no space,” the source explained. News of the altercation travelled fast. However, later seen partying up a storm at Up & Down’s pop-up at Raspoutine, Naomi acted as if nothing had happened. 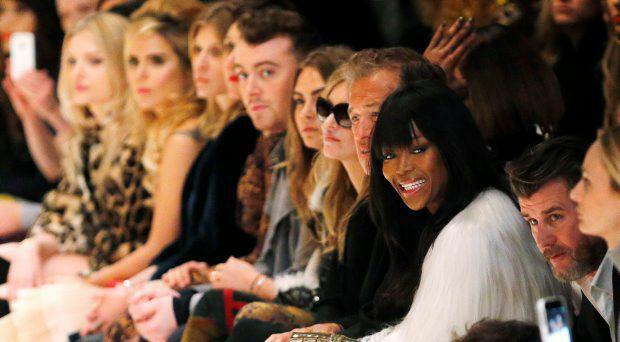 “Everyone was talking about the drama with Cara, but Naomi just smiled angelically,” a witness revealed.